and possibly A Novel Bookstore by Laurence Cosse -- my daughter just read this and loved it. 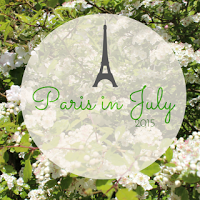 So who else is signing up for Paris in July 2015? What are you planning to read?
. . . plus about a fifteen books by Anthony Trollope. Seriously. 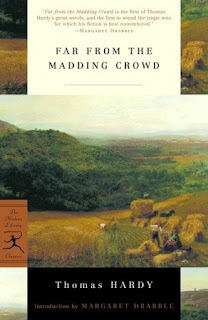 Right now, I'm leaning toward Thomas Hardy since I loved Far From the Madding Crowd; also, Return of the Native is on my Classics Club list, though I don't own a copy, so I've been putting it off. Allie is also allowing books from non-British authors, so I may read some Zola or Victor Hugo, which also counts for Paris in July. 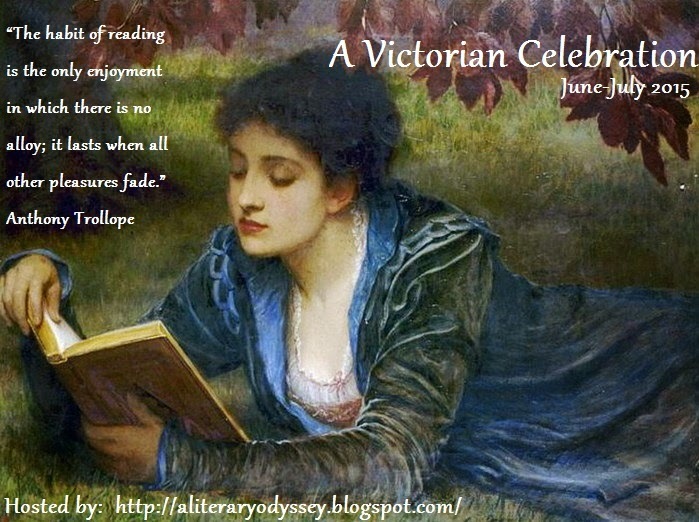 Anyone else signing up for the Victorian Celebration? What are you planning to read? Have you read any of the books on my list? Well, it took a movie adaptation, but I think I am finally converted to liking Thomas Hardy. I had read Tess of the D'Urbervilles several years ago, which I thought dragged on forever, and The Mayor of Casterbridge later, which was better, but I didn't love it. However, with Far From the Madding Crowd I'm beginning to see the appeal of Hardy. If you don't know the story, here's a brief setup. Independent and beautiful, but poor, Bathsheba Everdene first draws the attentions of sheep farmer Gabriel Oak. She rejects his proposal, and after a reversal of fortunes, she ends up giving him a job as a shepherd at the farm she has just inherited. Bathsheba has also caught the attentions of a wealthy older farmer, Mr. Boldwood, whom she also rejects. Bathsheba doesn't think she can be tamed by any man and wants to run the farm on her own. Both Oak and Boldwood wait patiently, loving her from afar, until the dashing bad-boy Sergeant Troy arrives and turns Bathsheba's head, and surprise! -- things do not end well for some of the characters. It was now early spring—the time of going to grass with the sheep, when they have the first feed of the meadows, before these are laid up for mowing. The wind, which had been blowing east for several weeks, had veered to the southward, and the middle of spring had come abruptly—almost without a beginning. It was that period in the vernal quarter when we may suppose the Dryads to be waking for the season. The vegetable world begins to move and swell and the saps to rise, till in the completest silence of lone gardens and trackless plantations, where everything seems helpless and still after the bond and slavery of frost, there are bustlings, strainings, united thrusts, and pulls-all-together, in comparison with which the powerful tugs of cranes and pulleys in a noisy city are but pigmy efforts. (Chapter XVIII). Cary Mulligan as Bathsheba and Matthias Schoenaerts as Gabriel Oak. I confess, I probably would not have attempted this book if I had not seen the movie adaptation first -- I usually prefer to read the book first, but my husband surprised me by taking me to a movie with period costumes so I could hardly refuse. I now have the courage to tackle more Hardy. I have two of his books on my TBR shelves, A Pair of Blue Eyes and Under the Greenwood Tree; also, The Return of the Native is on my Classics Club list. 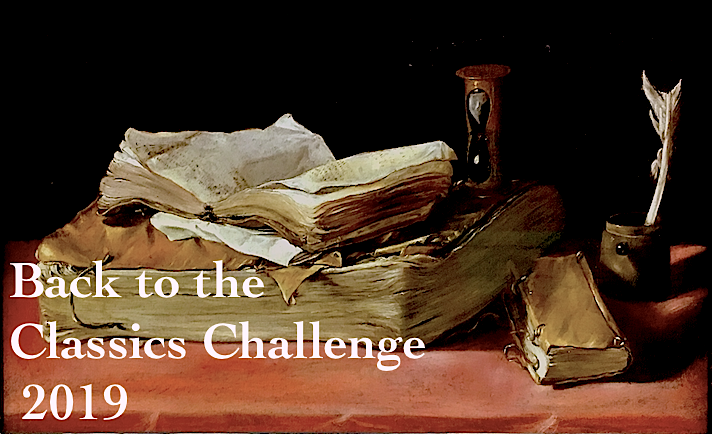 Bloggers, how do you like Thomas Hardy? Has anyone else seen the movie? And which book by Hardy should I read next? 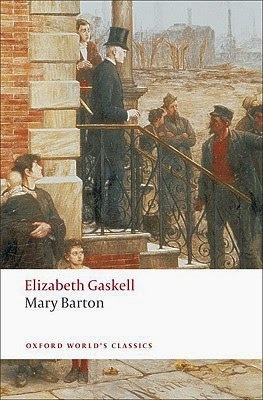 Set mostly in Manchester around 1840, Mary Barton is the story of two working-class families, the Bartons and the Wilsons. Barton and Wilson both work for the mills. Mr. Barton has a pregnant wife, a daughter Mary, aged about 13. Mr. Wilson has small twin sons, probably toddlers, and an older son, Jem, who's about 18. Mrs. Wilson has a disability from an accident she suffered before she was married. Mrs. Barton is grieving because her sister, Esther, has run off to be with a man, and they fear the worst. Soon after, tragedy strikes both families; Mr. Barton is depressed and becomes more and more involved with labor unions and the Chartist movement. Meanwhile, Mary has grown into a beautiful young woman, apprenticed at a dressmaker. Jem becomes a skilled worker, working with the factory machines. He's in love with Mary but her head's been turned by the attentions of Harry Carson, the mill owner. Times are bad at the mills, with job cuts at the worst possible time. 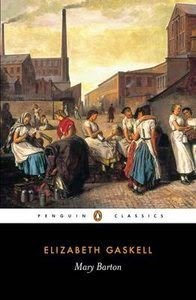 Resentment between the workers and the mill owners comes to a head just as Mary's two lovers have a confrontation. After another tragedy, Mary is caught up in the middle of all this, and her loyalties are tested. 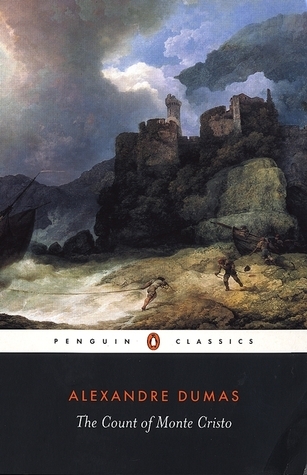 I liked this book, but it doesn't have nearly the charm or the characters of Wives and Daughters, North and South, or even the quirky Cranford. I found the characters rather one-dimensional, especially Mary, and the story itself is on the preachy side. It's also a little melodramatic and predictable. 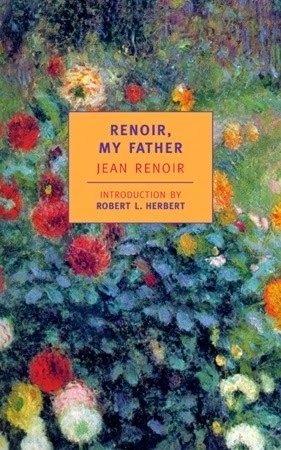 Still, it's interesting to read one of her early works. Mary Barton shows glimmers of Elizabeth Gaskell's great talent as a writer. I still have Sylvia's Lovers on the TBR shelves, plus some of her Gothic tales. Has anyone read either of those?